Fried Falafel patties served with hummus, house salad and pita bread. Sliced Chicken Shawarma served with house salad and choice of rice or potato salad and pita bread. Thin sliced Beef Shawarma served with choice of rice or potato salad, house salad and pita bread. 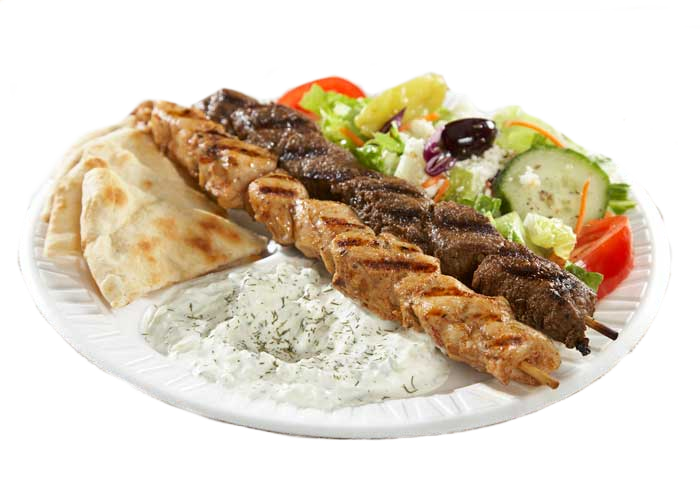 Chicken and Beef Shawarma served with choice of rice or potato salad, house salad and pita bread. Roasted eggplant cooked with fresh garlic, sautéed onions, EVOO and tomato sauce, served w/ pita bread. Lentils & Rice cooked with sauteed onions, seasoned to perfection.